Property Developer, Architect and Planning Consultant – Working Together for Success! In my last blog post I talked about a recent site appraisal for a proposed development of 2 houses just outside the built up area of a small village, near Angmering in West Sussex. The proposed development went through a few cycles of negotiation with the local Council before gaining approval. On reflection, it struck me that it was only because of the effective teamwork between myself, the developer and the architect that we were able to achieve a successful outcome. Pooling all our skills and experience gave us the ability to question the council’s objections and crucially, to provide evidence to support our proposal. Plus the willingness to make a few compromises along the way. Firstly, the council judged that there was not enough space for two dwellings. We came back to them with evidence. In the form of the nature of the surrounding development. We reinforced this with a full Planning Statement. And we also compromised a little in terms of the size of the proposed properties. Development Outside the Built Up Area – Really? Then on the second occasion where additional evidence was needed, the Council raised a concern about the site location. Under the Council’s new Local Plan, development outside the Built Up area was not allowed. We were able to counter this with evidence, in that the development was adjacent to, rather than beyond, the boundary of the Built Up Are. And we pointed out that a recent development to the north of the site had been approved, indicating that the Built Up Area had in fact been extended. Detailed analysis of the Council’s objections and in depth research of recent planning approvals gave us the ammunition needed to respond to the council’s concerns. Due to the fact that the development was a departure from the new Local Plan, the case was put before Planning Committee with all our input. It was approved. Developer, Architect, Planning Consultant = Successful Team! Working on your own as a developer or an architect, it would be very easy to give up at the first hurdle. But with the three of us – developer, architect and planner – working together as a team we had the tenacity and confidence to follow things through to the end. And ultimately to secure the building of two lovely new homes in a desirable village location. 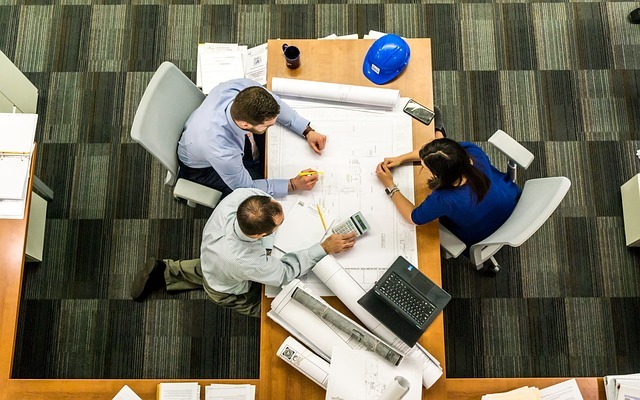 If you are a developer or architect who works with the Planning Authorities to make your plans a reality, enlisting the help of an experienced planning consultant could make all the difference to your success rate. Having worked for local councils for 12 years I know how to address their concerns in a pragmatic, way. Give me a call on 01403 295025 to find out more about how WPS Planning works with developers and architects. Become part of an effective Development, Design and Planning TEAM. Site Appraisal – the Key to a Successful Planning Application! Submitting a Planning Application? Maximise Your Chances of Success! Appeal against a Planning Decision? Why Bother? Why Use a Planning Consultant?